There are more than 40 beach establishments along the eight kilometer long beach of finest golden sand. Guests can rent beach umbrellas, beach beds, gazebos, water massage tubs and material for physically challenged tourists. Some of the beach establishments offer bar services as well as animation programs for children and adults, internet access, music and much more so that every guest can enjoy the day on the beach. A specially reserved beach section allows pet lovers to bring their dogs to the beach. If you decide to bring your own beach equipment such as beach umbrella and decker chair, you can access the beach at one of the free of charge areas. Learn a new skill while having fun on the water: there are kite surfing or wind surfing schools , you can also rent a pedal boat or a sail boat at various points on the beach. 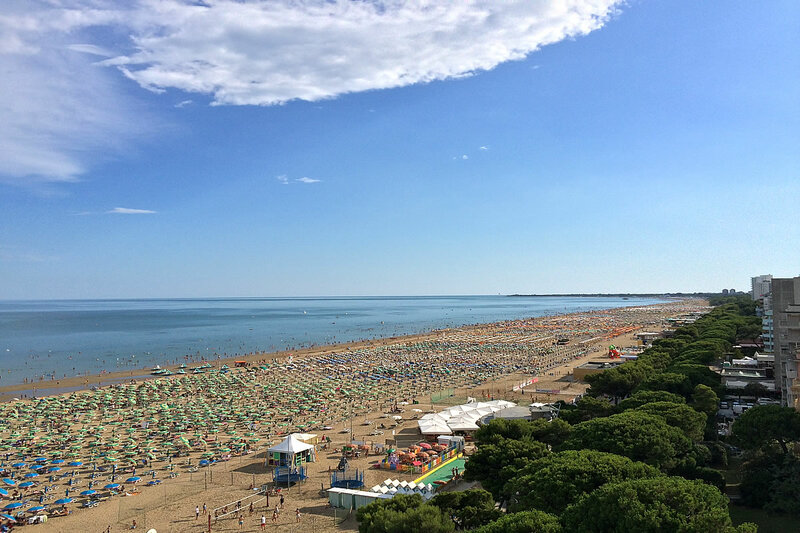 A professional life-guard service ensures the safety of all guests in Lignano. 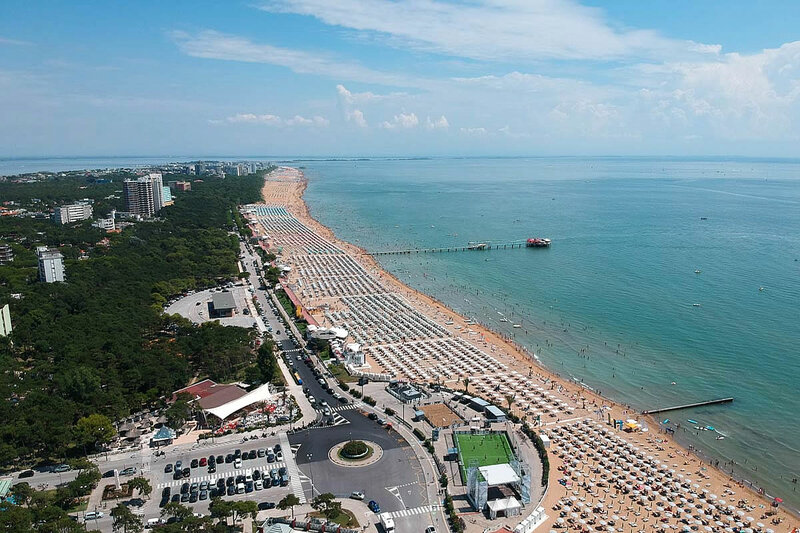 Beach management companies in Lignano: Beach umbrellas, decker chairs, gazebos, water massage tubs and animation program. The offices of the company managing the beach of Lignano Sabbiadoro, Lignano Sabbiadoro Gestioni, are situated in the city center. Guests can enjoy 19 beach establishments with about 16,000 beach umbrellas. Tourists can rent beach equipment according to their needs and during the summer months they can take part in shows, concerts and sports competitions so that the vacation will turn into an unforgettable adventure. Pineta is considered the „young" beach. The company Lignano Pineta offers to its guests many ways to relax and to have fun at the same time. The Pineta bach establishments are equipped with about 4,000 beach umbrellas for rent. SIL Società Imprese Lignano Spa. The company Lignano Riviera S.I.L. 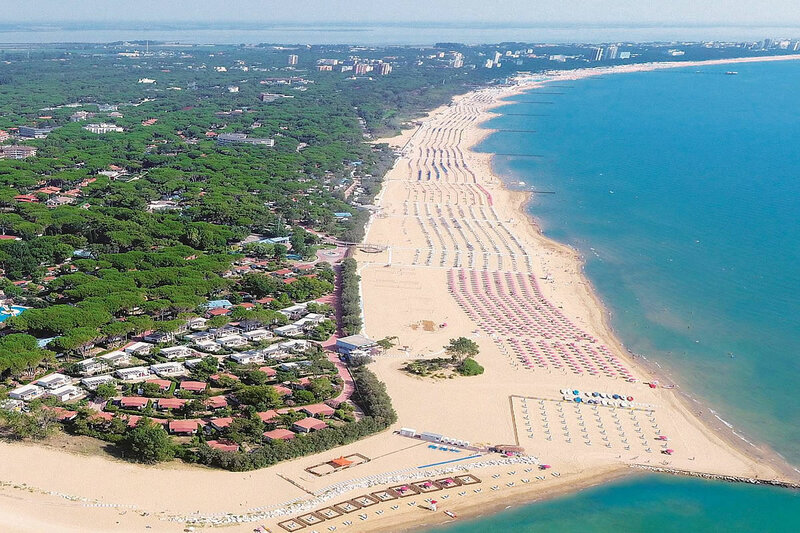 manages the exclusive beach of Lignano Riviera, the area of Lignano known as the most quiet one of all situated right by the beautiful pine tree forest. The six beach establishments offer about 3,000 beach umbrellas. Beach Tourist Village Ge.Tur scarl. The beach management, situated between Sabbiadoro and Pineta in front of the large pine tree forest of the vacation village provides six beach baths that are equipped with 1.300 parasols and other beach equipment available for rent. Inside there is a large sports center: the sailing center of the Upper Adriatic Sea and everything one needs on order to learn windsurfing, canooing and sailing. Other than the above mentioned beach management firms there are about ten other companies managing parts of the beach. Each and every one of these establishments offers a high level of comfort and many services. Together they provide about 5,000 beach umbrellas for rent.